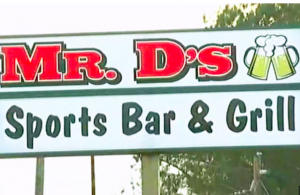 Did negligent security contribute to this tragic Wadesboro sports bar shooting? Gunfire reportedly broke out inside an Anson County bar and grill Friday night, March 10, 2018, tragically claiming the lives of JA’Ques Kerreon McBryde, Thomas Maye III and Mareco Lawilder McNair. According to WCNC, the shooting occurred “around 11:30 p.m. at [a restaurant] on the 1300 block of east Caswell Street.” Responding officers reportedly discovered two men with fatal injuries inside the bar. A third succumbed to injuries at the hospital. A fourth, female victim was transported to CMC Main with injuries. Her current condition has not been released. Did negligent security contribute to this senseless loss of life? We represent individuals and families who have suffered a tragic loss or injury as a consequence of negligent property security. Read Our Legal Take below to find out if the victims’ families may have a legal avenue for justice and claims for substantial compensation in North Carolina, or call now for a free consultation with our legal team: 888.842.1616. What security measures, such as weapons screenings, metal detectors, surveillance cameras, and security patrols, were in place to deter crime and protect patrons at the time of the shooting? Generally, property owners are required to protect all those legally on the premises from any foreseeable harm. Should the facts of this matter reveal that the property owner or management failed to provide adequate security to protect those on its premises, the families of JA’Ques Kerreon McBryde, Thomas Maye III, and Mareco Lawilder McNair may seek justice and elect to pursue legal claims for their wrongful deaths. Additionally, the fourth victim of this tragic attack may pursue legal claims for her injuries.